Looking up Fifth Avenue. … Behind me would be The San Diego Convention Center, and most of The Gaslamp District. 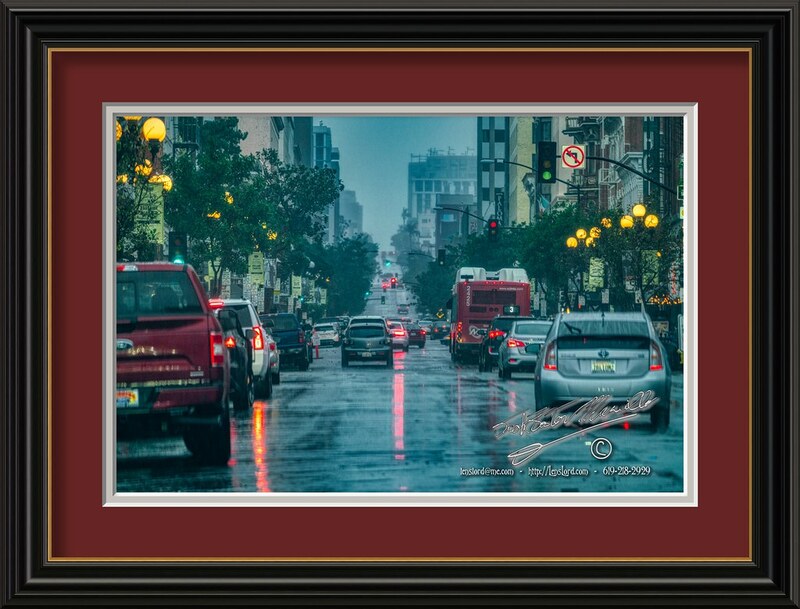 Up the hill, and hidden by the rain would be Laural Street, Mr. A’s, and Bankers Hill. Those places would not be seen during the rain from this location.